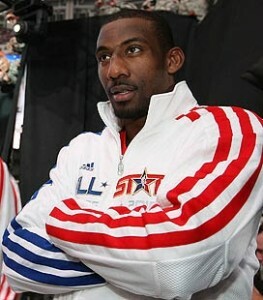 Home / Uncategorized / Stoudemire to CAVS- is it a dream? Stoudemire to CAVS- is it a dream? The conversation on every Cleveland sports comments page or blog is about Amare Stoudemire- and rightfully so. The Phoenix power forward is believed to be headed to my beloved Cavaliers and I couldn’t be happier. Well, unless it all pans out in the end and the Cavs end the championship drought Cleveland has been in since the Browns won the NFL championship back in 1964. That’s 1964 people! I’m 39 years old and haven’t seen a championship of any sort in my lifetime. The thought by many is that Stoudemire can change all of that. I’m one of those who believes he can. The Cavaliers need another player to take even more pressure off of Lebron come playoff time. A player that can be relied upon to score and keep a team honest on defense when Lebron or Mo Williams drive the lane. A power forward who will pose nightmares for Kevin Garnett and Pau Gasol. Yes, the Cavs may have the best record in the NBA right now, but they’ve seen what a great record can get you- a seat in the stands come the NBA Finals. Best records mean nothing in the playoffs, talent does. The Cavaliers and GM Danny Ferry need to make this deal happen. They need to show Lebron that even though he’d obviously make more money in NY come 2011 because of the endorsement opportunities, he’d be far away from winning it all. Rebuilding is always a gamble and one that hopefully the King is unwilling to take. Yes, the time is NOW to go for it all. Get Stoudemire and end the drought. Previous post: What happened to Dr. J?